What lens do you use as an “everyday” lens. 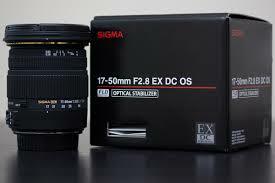 My favorite is is a Sigma 17-50 f2.8 EX DC OS HSM. Other than having lots of letters, I like this lens because it has a wide angle of view with a wide aperture setting and has “anti shake” compensation. The wide angle allows more opportunity to compose an interesting photo. The f2.8 allows better photos in low light situations. Also the fact that it is designed for a cropped sensor makes it very inexpensive! The Sigma 10-20mm F3.5 EX DC HSM provides excellent wide angle views and effects. This lens will you a broader view of your subject while providing a constant f stop setting through various settings.